We believe swimming is both an essential life skill and an unparalleled way to enjoy peak physical and mental health. 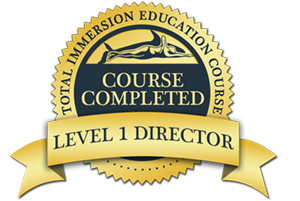 Learn the worlds most effective and effcient swimming technique with Total Immersion. Come and join our highly experienced, professional and friendly coaches to take your swimming to places you never thought were possible. Whether you are looking to improve your swim times, improving your technique, learning to swim from scratch or need to swim for rehabilitation our coaches will be able to help. SwimSolutions offer a range of training options, from in-depth one-to-one coaching using the most advanced stroke analysis technology, to Open Water Swimming Camps around the world for those looking for fun and adventure. Kelly Adams came to Swim Solutions having entered the London Triathlon unable to swim a length of front crawl. Total Immersion training completely changed the way she swam, and thought about swimming, and 9 months later Kelly finished the race in 2nd place for her age group. Total Immersions primary focus is to teach swimmers to move through the water smoothly and efficiently. By conserving energy and focusing on balance and streamlining in the water, any energy used for propulsion becomes much more effective. Basic principles of teaching include sustainability of effort, drag reduction, vessel shaping and full body swimming. With Total Immersion, you don’t need youth, athleticism, special talents, or endless laps to become the swimmer you want to be. Since 1989, hundreds of thousands of people around the world have learned to swim better than they ever thought possible. We believe swiiming is for life. 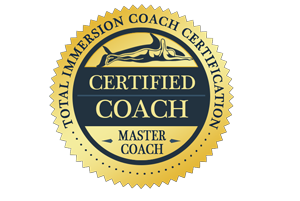 A critical distinction between Total Immersion and other programs is that we help you use your body intelligently and healthfully. The focus on technique over strength and fitness means swimmers can train and make enourmous improvements regardless of age or physical conditon. Total Immersion is ideal for anyone looking to improve their technique and enjoy swimming more, whether training for an event or just swimming for well-being and relaxation. Total Immersion will help you swim further, faster, and with less effort. Tracey’s calmness and total confidence in me gave me the freedom to explore open water swimming which up to now has been a massive fear for me. Deep/ murky water swimming has always been out of the question and at 34, it looked like it always would be but yesterday I found myself swimming the length of a weedy kilometer lake with confidence and ease. Kim had my fear of having my face in water and relaxing with the water sorted in one lesson. I’ve not looked back since. I’m in water at every opportunity. Kim most certainly has the knack of making a person feel at ease. Her enthusiasm for teaching, and the technique, is infectious and inspiring. I’ve enjoyed my first summer of truly enjoying being by the sea, and in the sea. Learning to relax in water has been life changing for me and I still look forward to taking the learning further. Tracey is a fantastic teacher, with the keenest eye for detail I have ever seen in an instructor, she truly is exceptional. In the space of months I’ve gone from being someone who considered himself a non-swimmer, to weekly open water swims of over a mile that I love. Open water swimming is now one of my favourite activities and it’s all thanks to Tracey. Whether you are looking to improve your technique, target specific habits, improve event times, or just meet new people and have an adventure, Swim Solutions have a variety of training options to meet you needs and help you achieve your goals. 6 x 1 hour pool sessions. Groups of no more than 4 swimmers. training in pool and classroom.